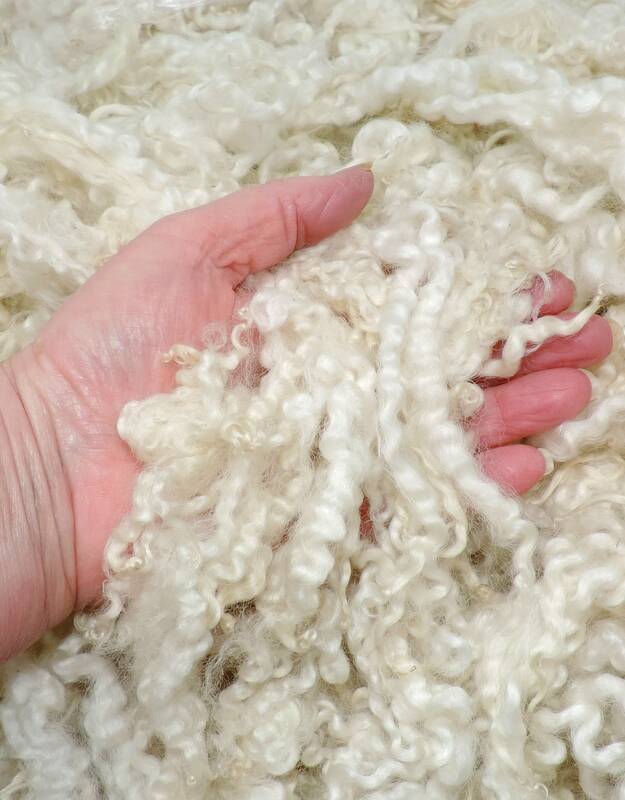 Lightly washed, lovely and soft, BFL wool fleece with very nice curly locks that pull apart easily. 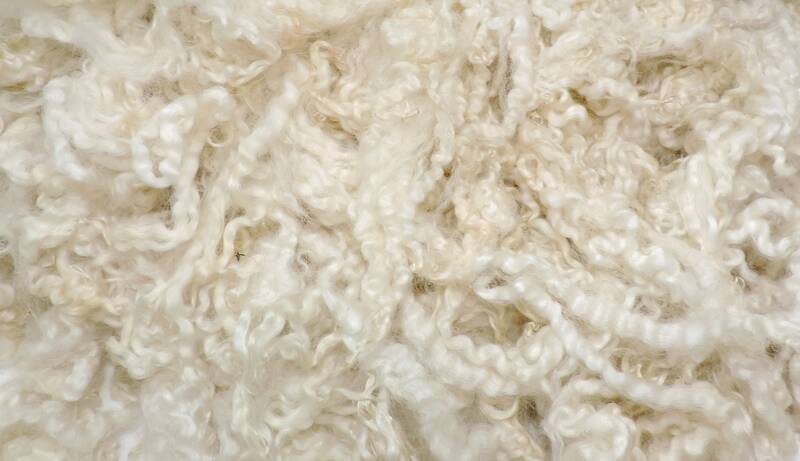 This Blue Faced Leicester fleece is a natural white color. 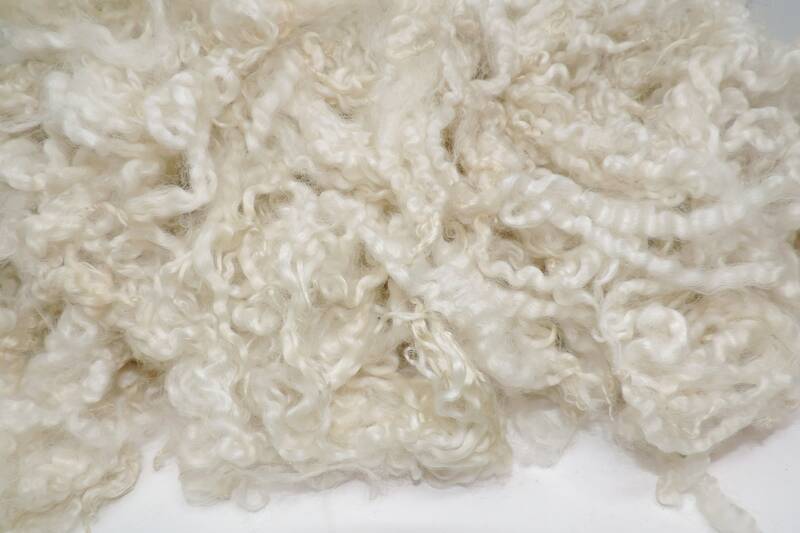 Gorgeous sheep locks!!!! Will make my mini sheep look real! Fantastic locks! 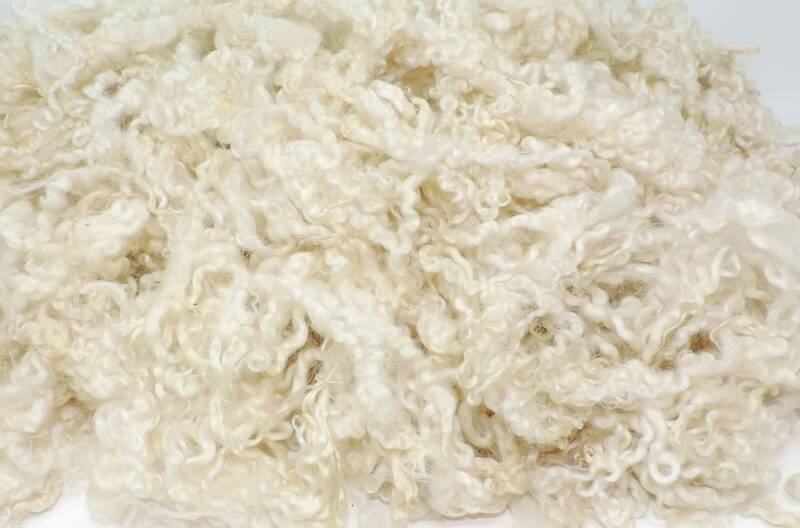 Beautiful, so nicely cleaned and so curly! Absolutely love my locks, can't wait to use them! Thank you! Beautiful fiber and was mailed super fast.